The Argentinean painter Guillermo Kuitca presents an installation that illustrates the history of the Fondation Cartier pour l’art contemporain and its unique way of establishing relationships between artists and artworks, inciting encounters of many kinds, and making connections from one project to the next over the years. Occupying the entire lower level of the Fondation Cartier, this work is entitled Inhabitants, borrowing from the film of the same name by Armenian filmmaker Artavazd Pelechian. Through this work created especially for the occasion, Guillermo Kuitca plunges visitors into a pictorial and sound environment, building an intricate network between his own art and that of David Lynch, Vija Celmins, Patti Smith and Artavazd Pelechian. The idea for Inhabitants came from David Lynch’s life-sized recreation of a living room, inspired by one of his own small drawings. 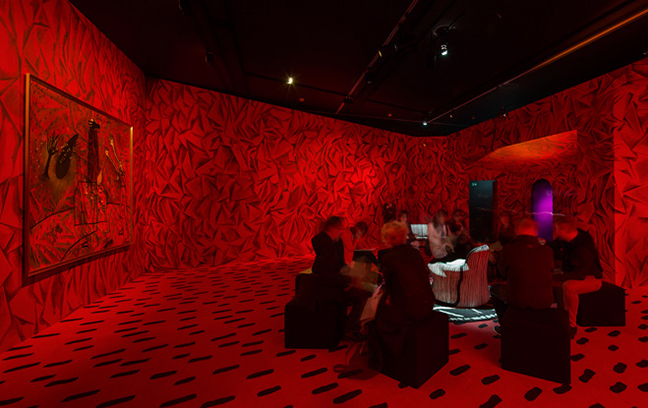 For Guillermo Kuitca, whose work is filled with references to theatrical interiors, seeing David Lynch’s 2007 exhibition The Air is on Fire at the Fondation Cartier, where the living room was shown for the first time, was an important experience that struck a profound chord. Guillermo Kuitca further explores this encounter by inviting visitors to rediscover a concert given by Lynch and Patti Smith at the Fondation Cartier on October 28, 2011 as part of the Mathematics, A Beautiful Elsewhere exhibition. For Guillermo Kuitca, this event embodied the concept of reinterpretation that underlies his entire project, and he incorporated the concert’s sound recording into his installation. 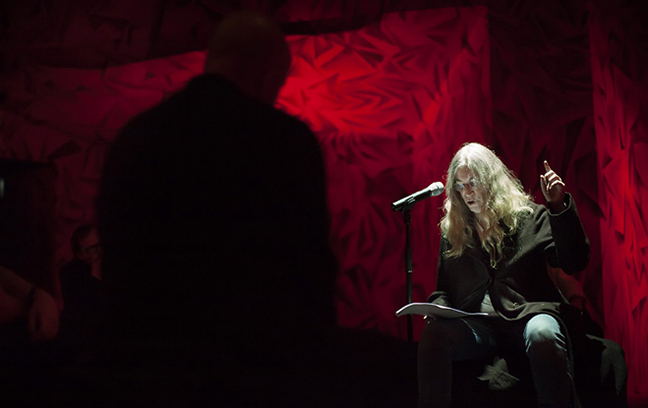 During this unique performance of music and poetry that brought the two artists together on stage for the first time, Patti Smith adapted a text written by Lynch that told the story of an antelope who wanders through a city and observes its people. The phrase “I saw an antelope” returns again and again, like a litany. It provides an echo to Artavazd Pelechian’s film Inhabitants, an ode to nature that depicts images of animals frantically trying to escape from an invisible threat. Painted in infinite shades of black, white and gray, American artist Vija Celmins’ starry skies converse with paintings by David Lynch. 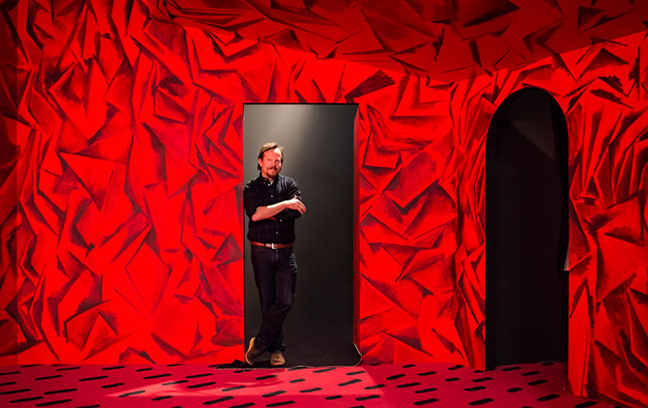 Guillermo Kuitca’s installation Inhabitants constantly plays on viewers’ sensations and creates optical illusions. It also invites visitors to reflect upon his oeuvre as a whole, characterized by references to maps and the intersection between places and things, as well as allusions to physical, mental and emotional territories in which the human figure is conspicuously absent. Inhabitants is inspired by the same spirit. 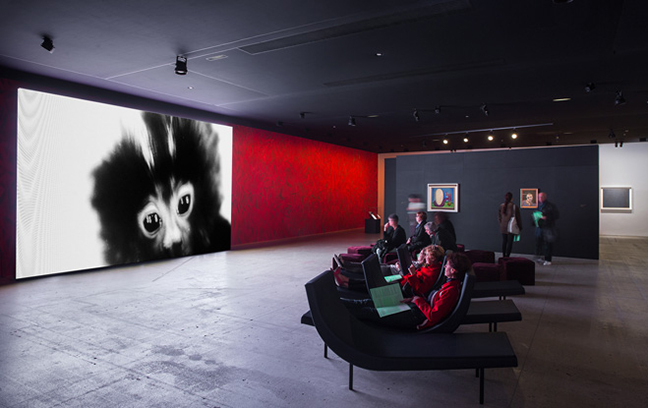 Stimulating dialogue and making surprising multilayered connections between the works, artists and ideas presented, Inhabitants also reflects the unique manner in which the Fondation Cartier pour l’art contemporain has operated for 30 years.